A major initiative in Texas to bolster the success of men of color in college continues to expand, and the inaugural report in what will be a series of policy briefs reveals some interesting data about where male Latino students in the state are performing best academically. Hispanic males in border regions are enrolling in higher education in higher numbers and are earning post-secondary credentials at higher rates than their counterparts in urban areas, according to an analysis of state data published by the Project MALES Research Institute at the University of Texas at Austin. The paper – titled “De La Ciudad a la Frontera: Advancing Latino Males in Border and Urban Regions in Texas” – doesn’t explain why the disparities exist. That will be explored further, and researchers will data-dive again to see what they can learn about the academic trajectory of African-American male students from the same regions who likewise were tracked for 11 years beginning in the eighth grade. The series of short papers will address policy issues and educational trends for Latino and Black males and propose ways to address them, with an eye toward helping Texas achieve its goal to have 60 percent of Texans ages 25 to 34 possessing a certificate or degree by the year 2030, said Dr. Emmet Campos, director of Project MALES (Mentoring to Achieve Latino Educational Success). 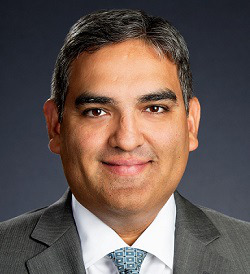 The institute, housed in UT Austin’s Division of Diversity and Community Engagement, grew out of research by Dr. Victor Saenz, now a UT Austin department chair, and his desire a decade ago to translate his findings into practice to help young men of color, particularly Latino males, access and finish college. 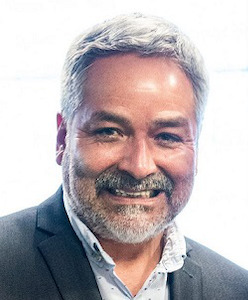 Saenz, a professor of education at UT Austin and founder and executive director of Project MALES, is now cofounder and executive director of the Texas Education Consortium for Male Students of Color, which was established in 2013 and now has 40 institutional members. Initial research teams at UT Austin and Texas A&M University have grown into a network of 40 faculty affiliates across the nation. In addition to the research and consortium efforts, the mentoring prong includes professional development opportunities and leadership summits. The Project MALES component – launched in 2010 by a team of faculty, staff and graduate students from UT Austin and Texas A&M under the leadership of Saenz and Texas A&M associate professor Dr. Luis Ponjuan – currently has 300 students being mentored by culturally compatible male students at 18 colleges and universities. That includes not just mentoring, he said, but helping the students develop relationship-building, teamwork and other social and emotional learning skills that promote academic, career and life success. Campos speculated that the academic success differences between Hispanic male students in border regions such as El Paso and those in more urban areas such as Houston could be related to factors such as the presence of educational service centers that support local K-12 school districts; availability of dual-credit and early-college opportunities at some high schools; differences in how closely knit communities may be; and the existence of philanthropically supported initiatives such as the foundation-funded RGV Focus in the Rio Grande Valley. Ultimately, the idea is to remove barriers and provide support for Latino and Black men to earn a college degree, a goal that Campos said requires a unified approach. In researching the data for Black male students, the institute will partner with the African American Male Research Initiative at UT Austin directed by Dr. Ryan Sutton, Campos said. Research findings will be used to inform capacity-building initiatives and practical tools that institutions, consortium members and others can use to enhance the numbers of Latino and Black men obtaining post-secondary educational credentials. Project MALES has been so successful that it will be replicated at UT San Antonio beginning in the fall, said Campos. That adaptation will involve partnering with San Antonio College community college, Prairie View A&M University and several public school districts. Meanwhile, leaders in other states – including California, Nevada and New Mexico – are interested in replicating the consortium model to help those underrepresented groups in their respective states, Campos said. The consortium works statewide with educational leaders to help institutions build capacity to improve degree attainment for men of color. What they lacked, however, was an ability to connect with and learn from each other, he said, a void the consortium has sought to fill. “It has become a convening and gathering space to share strategies, to share research and data, to kind of hold each other accountable, to build capacity,” said Saenz. To maximize impact locally, statewide and nationally, it’s critical to collaborate with other thought leaders and practitioners in the field, he said, citing Dr. Jerlando F.L. Jackson, department chair for educational leadership and policy analysis at the University of Wisconsin-Madison School of Education, and Dr. Shaun R. Harper, founding director of the USC Race and Equity Center at the University of Southern California.